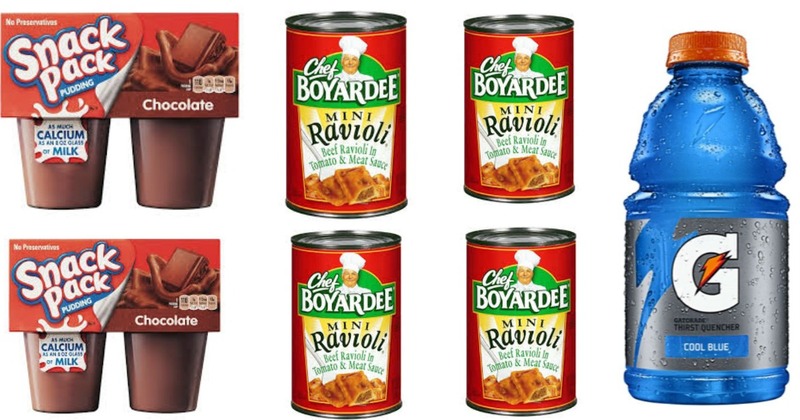 Kmart: FREE Hunts Snack Pudding 4-Pack + More! Text Offer! Kmart is offering a FREE food when you text DEALS to 56278 to receive a mobile coupon for for your choice of ONE of the following items: Hunts Snack Pack Pudding 4-Pack, Gatorade 32 oz, Fruit Punch or Berry Juice 64 oz, Essential Everyday Grocery items, Chef Boyardee cans 14.5-15oz, . Expires 5/30/18.